Do you need a removals company to make sure that you are fully prepared for moving day? Or are you short of time and need a company to take charge of your house move? Well, look no further. We at Moving Service are a removals company that put our customers desires first. We know that getting everything together in time to move can be stressful, so we are here to help. Our hard working team are constantly striving to make your life that little bit easier by providing you with a range of removals services. From transport to boxes, we have it all. You can call upon our man and van service in Earls Court, SW5 to get your items to your new house on moving day. Alternatively, we have van and lorry hire services if you wish to undergo the move yourself, all of which can be booked at affordable prices. If you have a large amount of furniture or lots of big and heavy items, then our specialised moving vehicles are what you need. Our dedicated crew members will transfer your possessions from your house and into our vehicles, using lifts and ramps, so we can get you moving as quick as possible. Give us a call now on 020 8746 4402 for more information. It is a district in South West London that is part of the Queens Royal Borough of Kensington and Chelsea. 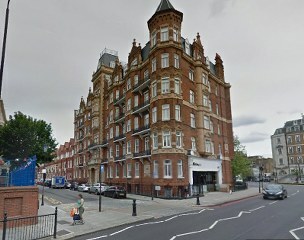 It falls under the postcode districts of SW5, SW10 and SW3. Formerly a residence to Diana Princess of Wales, the area boasts some fine architectural monuments and 20th century buildings, such as the triangular shaped Empress State Building and the Kensington Mansions. Take a walk in the Earls Court Ward for some Victorian architecture or stroll down to Holland Park where you can get away from the hustle and bustle of the City. If events and entertainment is what you’re after, the world famous Earls Court Exhibition centre is a hugely popular choice for indoor concerts as it contains one of the country’s largest indoor arenas. At Earls Court tube station, you can catch the Piccadilly and District lines further into central London, or get on the Westbound branch of the line to go directly to Heathrow Airport. There’s also abundance of restaurants, cafes and pubs where you can let off a bit of steam, including the Prince of Teck which is a grade 2 listed pub situated on Earls Court road. Moving to Earls Court, SW5 is a wise decision for you and your family. However, it is essential that you prepare well in advance to make your house move run as smoothly as possible. Here at Moving Service our customers are at the heart of everything we do. That’s why we work tirelessly to ensure all your needs have been met. Our removals services in Earls Court, SW5 go beyond just providing you with transportation. 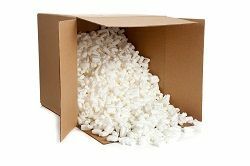 We have all the materials you need to get your house move in SW10 area on the right track, so whether you need boxes, packing tape, or foam wrap, we have it all. On the day of your house move around SW3 area, if there is still some work to be done in your new home, then we have a safe and secure facility where you can keep your items to avoid them succumbing to ruin. At our state of the art storage units, you will be able to store your items with us for as long as it takes to get your new house clean and ready. So don’t look elsewhere for a moving company, call us today of 020 8746 4402 for a quick assessment and a free quote. All we needed was a little extra manpower and a moving van. Moving Services gave it to us in spades. Hauled our stuff from Earls Court to a location a fair distance away. Nice work.